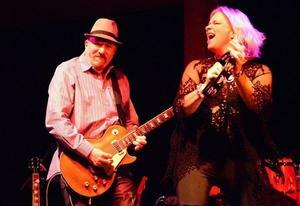 Master Guitarist Mike Dugan and vocalist/percussionist Jenn McCracken are Cheek2Cheek! This powerful pair really pack a wallop with their full electric sound, playing a vast repertoire of guitar-driven blues, classic rock, and jazz. Their musical range and impeccable delivery make them an instant crowd pleaser everywhere they go. From the Jersey Shore to the Gulf Coast beaches, from Led Zeppelin to Louis Armstrong, Cheek2Cheek Duo engages and delights audiences in their signature polished, professional style!